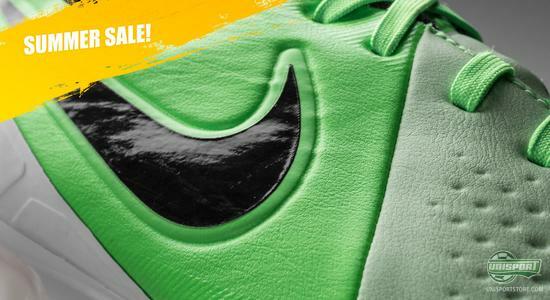 We continue our daily focus on one of our top summer offers, and today we take a look at the Nike CTR360 Maestri III and a fresh summer colourway that lets you be a little wild while still keeping full control. We admit that this summer, so far, has been dominated by the Nike Hypervenom; a boot that we have found it hard to wait to stick our feet in. 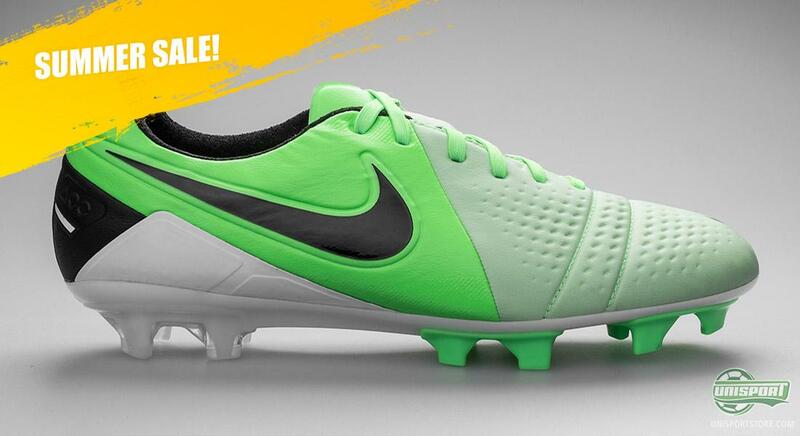 But it is far from all Nike star players who prefer the new Hypervenom. Although Mario Balotelli was initially presented as a Hypervenom player, he actually has another favourite, and that is this unique Nike CTR 360 Maestri III ACC, which we will now take a closer look at. 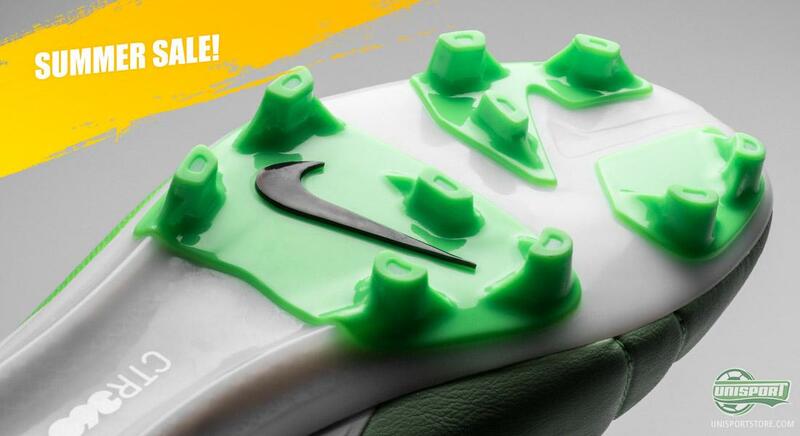 If you are looking for a boot that is designed to keep maximum control in all the facets of the game, you cannot miss the Nike CTR 360 Maestri III ACC, which has been developed with the aim to eliminate the ball from doing anything else than exactly what you had in mind. It was back in 2009, that we for the first time saw a Nike CTR 360 Maestri, and ever since, the boot has managed to march on into the biggest football scene. We have seen the boot on the feet of stars like Jack Wilshere and Andres Iniesta, among others, who perfectly display, with their elegance and drive, what this boot is all about. 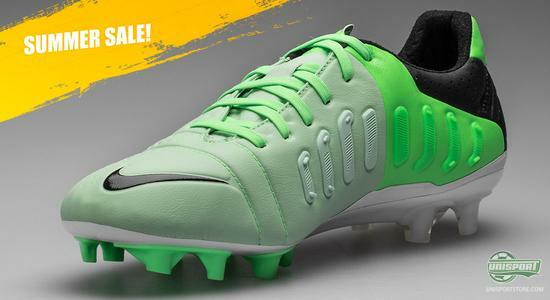 Are you looking to control your summer, then you can order the Nike CTR 360 Maestri II ACC right here  you get 50% off on this fresh green colourway. With the risk of repeating myself, the keyword is control, and Nike have managed to display this all the way throughout the design of this third generation of the Maestri boot. On the lateral side of the forefoot you will see a range of dimples in the upper that creates better friction between ball and boot, hereby providing better ball control when using the lateral side of the boot. On the medial side of the boot Nike have developed their 3D Control Zone that follows the contours of the foot and adapts to your foot. The 3D control fins provide a constantly levelled surface, which stabilises your passing and helps you control the ball. Another key part of this boot is the Kanga-Lite 2.0 upper, which is even lighter, softer and more supple than the version we saw on the second generation of the Maestri. It still resembles leather quite a lot in terms of how it shapes itself according to your foot, yet it doesn't take up as much water and it wont stretch itself too much and lose the nice fit. The upper has also gotten Nike's ACC technology incorporated, which ensures the same ball grip in wet conditions as you have have in the dry. All of this excellent and innovative technology has been fastened to a, just as innovative, TPU outsole, which has been strengthened by two torsion bars across the midfoot. The stud configuration has been optimised to also give you control in terms of pitch grip. The studs are rounded on the lateral side for improved rotation and bladed on the medial side to give optimal pitch grip when accelerating. 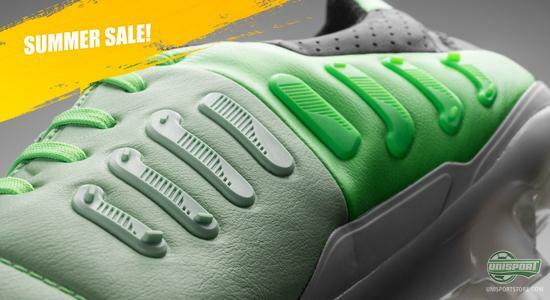 If you are a dedicated control player, and prefer to be on top of things with a cool overview, the Nike CTR 360 Maestri III ACC is surely worth looking into; and with this fresh summery green colour you can both feel a little wild while still keeping full control. 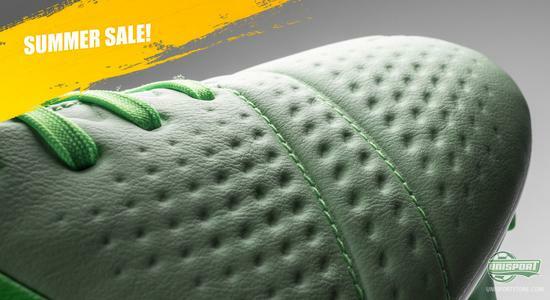 Are you looking to control your summer, then you can order the Nike CTR 360 Maestri II ACC right here  you get 50% off on this fresh green colourway. 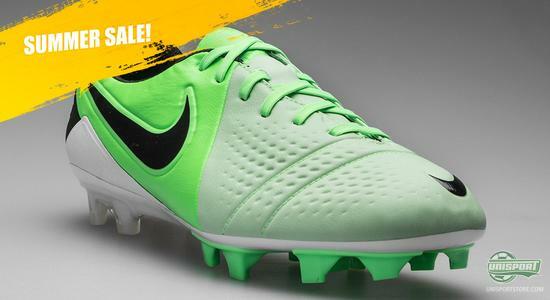 You can also find many more of our top summer offers right here. 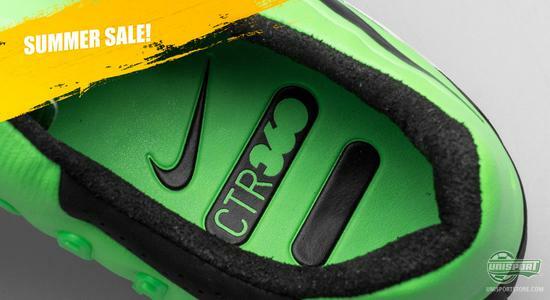 The Nike CTR 360 Maestri III ACC is a unique control boot, and now you will have the opportunity to take full control of the summer and the ball. What do you think of the Nike CTR 360 Maestri III? And would you like to control your summer with this boot? Feel free to leave a comment here, or on Facebook and Twitter.